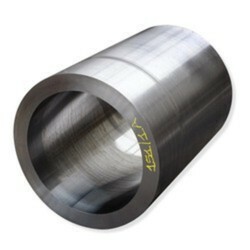 Prominent & Leading Exporter from Mumbai, we offer steel bushes, peek bush, phosphor bronze bushes, split bushes, ptfe bushes and bronze bushes. Jayant Impex Pvt Ltd, Mumbai, India is engaged in Industrial supplies can offer wide range of Bushings Bushing Parts from ready stock or on make to order basis are currently supplying to UK, Iran(Tehran), Saudi Arabia, Spain, Bahrain, Nigeria, Dubai, Egypt, Malaysia, etc. various steel products such as Angles, Channels, Beams, Billets, Blooms, Round Bars, Square Bars, Rectangular Bars, Flat Bars, Forged Bars, Rolled Bars, Concast Bars, Pipe Flanges, Elbow, Tee, Reducer, Cross, Stub End, End Caps, Forged Stampings, Pipes, Tube, Tubing, Fasteners, Bolts, Nuts, Washers, Screws, Studs, Plates, Sheets, Coil, etc. Specifications: Can offer Bushings Bushing Parts as continuous cast (CC), rolled or forged in normalized, annealed, spherodized annealed, quenched (hardened) tempered condition with black or bright (peeled or proof machined) finish. Size Dimensions: Client can avail Bushings Bushing Parts of thickness sizes ranging between 0.5mm upto 500mm depending on material grades technical specifications. 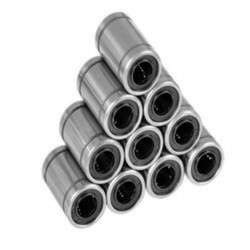 Client can avail Bushings Bushing Parts of diameter sizes ranging between 4mm upto 2500mm for flat bars thickness ranging from 0.1mm upto 500mm depending on material grades technical specifications. We stock, supply, export, wholesale Bushings Bushing Parts which are used in applications of Bridges, Engineering, Construction, Oil Field, Offshore, Shipbuilding, Nuclear Projects, Marine Projects, Medical, Instrumentation, Furniture, Boiler, Heat Exchangers, University student projects, etc. 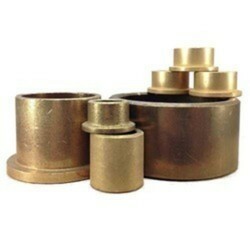 If any requirements for bushings bushing parts kindly do contact us. 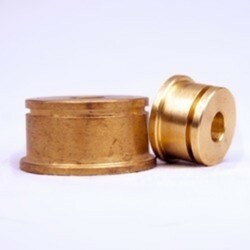 Jayant Impex Pvt Ltd, Mumbai, India is engaged in Industrial supplies can offer wide range of Bushings Bushing Parts from ready stock or on make to order basis . Size Dimensions: Client can avail Bushings Bushing Parts of thickness sizes ranging between 0.5mm upto 500mm depending on material grades technical specifications. 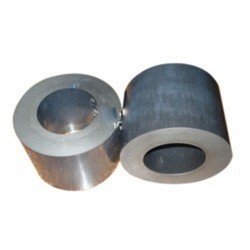 Client can avail Bushings Bushing Parts of diameter sizes ranging between 4mm upto 2500mm for flat bars thickness ranging from 0.1mm upto 500mm depending on material grades technical specifications. We stock, supply, export, wholesale Bushings Bushing Parts which are used in applications of Bridges, Engineering, Construction, Oil Field, Offshore, Shipbuilding, Nuclear Projects, Marine Projects, Medical, Instrumentation, Furniture, Boiler, Heat Exchangers, University student projects, etc. 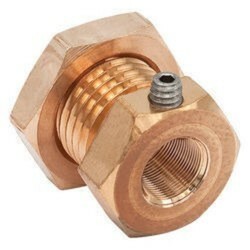 Jayant Impex Pvt Ltd, Mumbai, India is engaged in Industrial supplies can offer vide range of Bushings Bushing Parts from ready stock or on make to order basis are currently supplying to UK, Iran(Tehran), Saudi Arabia, Spain, Bahrain, Nigeria, Dubai, Egypt, Malaysia, etc. various steel products such as Angles, Channels, Beams, Billets, Blooms, Round Bars, Square Bars, Rectangular Bars, Flat Bars, Forged Bars, Rolled Bars, Concast Bars, Pipe Flanges, Elbow, Tee, Reducer, Cross, Stub End, End Caps, Forged Stampings, Pipes, Tube, Tubing, Fasteners, Bolts, Nuts, Washers, Screws, Studs, Plates, Sheets, Coil, etc. We can supply smaller quantities of Bushings Bushing Parts from associated manufacturing unit in India are also looking to explore its supply to Albania, Algeria, Andorra, Angola, Antigua and Barbuda, Argentina, Armenia, Australia, Austria, Bahamas, Bahrain, Bangladesh, Belgium, Benin, Bhutan, Bolivia, Bosnia and Herzegovina, Botswana, Brazil, Brunei, Bulgaria, Burkina Faso, Burma, Burundi, Cambodia, Cameroon, Canada, Cabo Verde, Chad, Chile, Colombia, Comoros, Congo, Costa Rica, Cote d'Ivoire, Croatia, Cuba, Curacao, Cyprus, Denmark, Djibouti, Dominica, Ecuador, Egypt, El Salvador, Guinea, Eritrea, Estonia, Ethiopia, Fiji, Finland, France, Gabon, Gambia, Georgia, Germany, Ghana, Greece, Grenada, Guatemala, Guinea, Guyana, Hong Kong, Hungary, Iceland, India, Indonesia, Iran, Ireland, Israel, Italy, Jamaica, Japan, Jordan, Kenya, Kiribati, South Korea, Kosovo, Kuwait, Kyrgyzstan, Lebanon, Lesotho, Liberia, Libya, Liechtenstein, Lithuania, Luxembourg, Macau, Macedonia, Madagascar, Malawi, Malaysia, Maldives, Mali, Malta, Mauritius, Mexico, Micronesia, Moldova, Mongolia, Mozambique, Namibia, Nauru, Nepal, Netherlands, New Zealand, Icaragua, Niger, Nigeria, Norway, Oman, Palau, Palestinian Territories, Panama, Paraguay, Peru, Philippines, Poland, Portugal, Qatar, Romania, Russia, Samoa, San Marino, Saudi Arabia, Senegal, Serbia, Seychelles, Sierra Leone, Singapore, Sint Maarten, Slovakia, Slovenia, Solomon Islands, Somalia, South Africa, South Korea, South Sudan, Spain, Sri Lanka, Swaziland, Sweden, Switzerland, Tanzania, Thailand, Togo, Tonga, Trinidad and Tobago, Tunisia, Turkey, Uganda, Ukraine, United Arab Emirates, United Kingdom, Uruguay, Venezuela, Vietnam, Zimbabwe, etc. 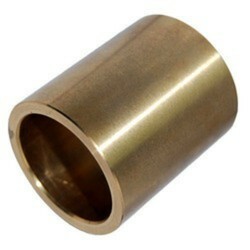 If any requirements for Bushings Bushing Parts kindly do contact us. Jayant Impex Pvt Ltd, India, Maharashtra, Khopoli, Mumbai, India is engaged in Industrial supplies of PTFE Bushes. 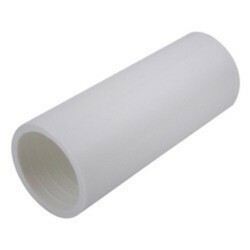 We can offer both Virgin PTFE Bushes and Filled PTFE Bushes. 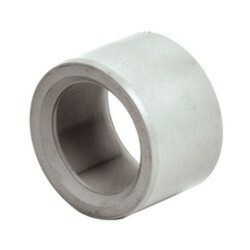 Client can avail small quantities of PTFE Bushes online by sending us an email. 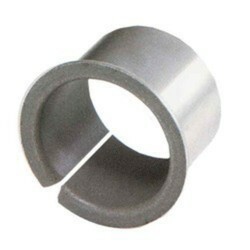 If any requirements for PTFE Bushes kindly do contact us. Jayant Impex Pvt Ltd, Mumbai, India is engaged in Industrial supplies can offer wide range of Bushings Bushing Parts from ready stock or on make to order basis are currently supplying to UK, Iran(Tehran), Saudi Arabia, Spain, Bahrain, Nigeria, Dubai, Egypt, Malaysia, etc. various steel products such as Angles, Channels, Beams, Billets, Blooms, Round Bars, Square Bars, Rectangular Bars, Flat Bars, Forged Bars, Rolled Bars, Concast Bars, Pipe Flanges, Elbow, Tee, Reducer, Cross, Stub End, End Caps, Forged Stampings, Pipes, Tube, Tubing, Fasteners, Bolts, Nuts, Washers, Screws, Studs, Plates, Sheets, Coil, etc. Can offer Bushings Bushing Parts as continuous cast (CC), rolled or forged in normalized, annealed, spherodized annealed, quenched (hardened) tempered condition with black or bright (peeled or proof machined) finish. 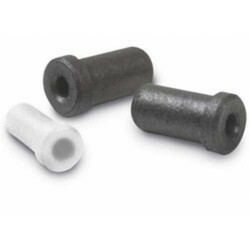 Client can avail Bushings Bushing Parts of thickness sizes ranging between 0.5 mm upto 500 mm depending on material grades technical specifications. 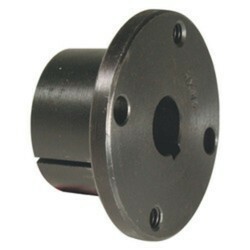 Looking for Bushings & Bushing Parts ?